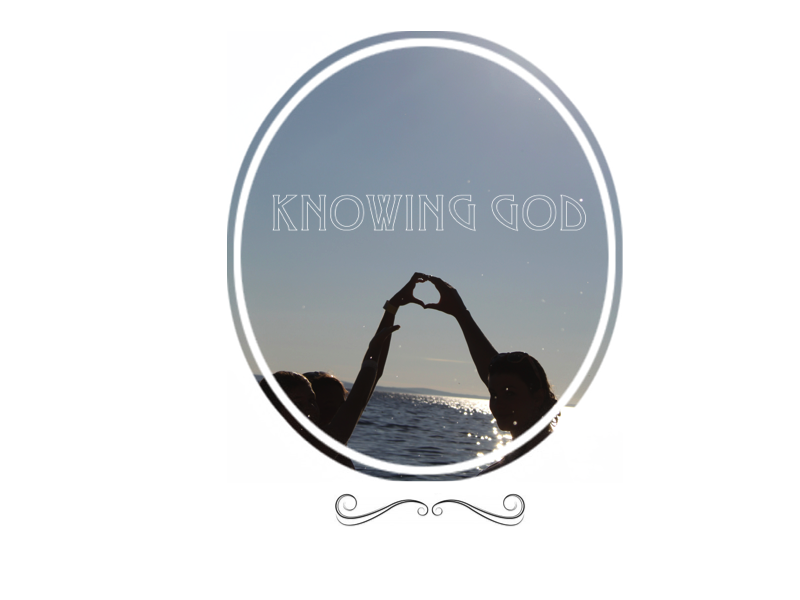 Knowing God: A Purposeful Life. Or, The Forgotten Siblings of Intimacy and Evangelism. A Purposeful Life. Or, The Forgotten Siblings of Intimacy and Evangelism. Lightbulb moment. God’s shown me how to live a purposeful, happy life. Early twenties, a Uni graduate, I’ve naturally been struggling for a while with a feeling of not having a purpose. I desperately wanted a godly purpose, a God-given direction, something to pour all my energies into but I didn’t know what it was. And I wanted God to give me something concrete. Like Hudson Taylor and his call to China. Even though I knew that in a wider sense I was to pursue God and serve him, I felt purposeless in a more practical way: what job should I get etc? But why did I feel purposeless? Simply, evangelism. Despite my fear I know that there’s no denying it. A purposeful life is truly about evangelism – about structuring our life, every day, every decision around our father’s command to make disciples. How did I come to this realisation? God graciously gave me a discontent with my inward-looking life, he gave me a John Piper video, he gave me a Francis Chan book. Jesus is spreading the gospel, and intimacy with him will only be had when sharing the gospel alongside him. Intimacy and evangelism are one and the same! To have intimacy with Jesus is to go and be with him in his evangelism. That’s where he is, so go to him there. In the great and glorious saga of history, God saved us through Jesus’ sacrifice on the cross. And then before he went back to God, he told us, his brand-new creations in Jesus, one simple thing. One task: make disciples. (Matthew 28). And no matter how much other stuff there is to know, how much other knowledge to gather, how many other commands there are in the bible…this is the one to shape your life around. It is Jesus’ only desire for our lives, we can’t ignore it. Let’s momentarily detach ourselves from our contexts – where we’ve been raised, all our past and present experiences – lets unplug from our cultural matrix and surface from our own heads. Let’s view ourselves as we actually are: a human being, saved by Jesus. All else stripped away, that is what we are. Because of Jesus, we’ve literally been ‘born again’ (John3:3), we’ve become a ‘new creation’ (2 Corinthians 5:17), we’re a blank slate. And so, what will this new person do as they open their new eyes and begin to venture into the world? What is the cry of their desire? Will they follow their creator’s command to make disciples? But we get so distracted! That’s what frustrates me. There’s just so much else out there, circling around, petitioning for our attention, grabbing our time and energy and thoughts. It’s so easy to be deceived. It’s so so easy to be drawn into wasting our lives…The world told me to live my life for other reasons. And I listened. The world says: to be worthwhile you need a good job, to be secure you need a good income and a mortgage, to not be lonely you need a spouse, to be cool you need a thriving social life…As if being cool, worth something in other people’s eyes, having security, being loved, was what life is all about. I believed that lie. Unknowingly, I was living life chasing my own happiness in these things. And I listened probably because other people were living this way too, and because even Christians that I respect seem to enforce this worldview with their decisions and words… I realised then that I had to be strong and decide for myself how to live my life, because I alone am responsible for the life I live on this earth. But, wonderfully, happiness doesn’t lie in these things. Happiness lies in intimacy with Jesus. And to have that, you go and be with him where he is – out on the battlefield, telling people about salvation. ‘Ignoring the one command that the newly resurrected King of the Universe delivered to you could certainly qualify as the stupidest thing you could do in your lifetime’ (98, You and Me Forever). I don’t want to spend most of my life and time doing something else, being diverted from God’s urging. I want to follow my father’s command. But heck! How am I supposed to do this!? I feel so inadequate. Making friends, relationships, isn’t my forte. I find social situations hard – I can’t be myself. I’m not a good public speaker, I don’t have the charisma to draw a crowd…how on earth am I going to evangelise? How could my life, with my skills be a life of evangelism? I don’t see it. But God sees it. With his enabling Spirit he filled those uneducated, fickle fishermen and transformed them into awe-inspiring disciples. So, by his grace and in his plan, he can do the same with me.